Thanks to the Longboat Key Club and Resort, a lot of excitement is generated in the Longboat Key real estate market. This club is located in the southern end of the Florida barrier island from which the resort is named after. From the Sarasota-Bradenton International Airport and downtown Sarasota, the club can easily be reached in a leisurely drive via US 41 to the John Ringling Causeway. 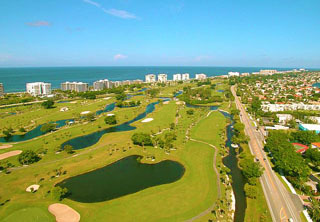 The Longboat Key Resort is comprised of 410 acres and features some of the finest real estate in the Sarasota area. 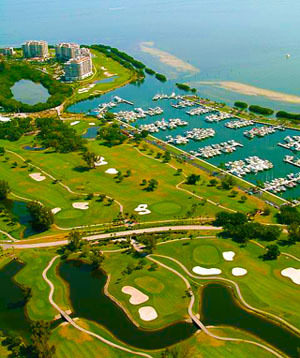 It is the only club on the barrier islands of Sarasota with a golf course. The resort is currently undergoing a renovation, further enhancing its various amenities that also include five-star facilities for tennis and dining as well as those for beach and physical fitness activities. From casual to fine dining, the selections are great at any of the six restaurants that the resort hosts. Its Sands Pointe, for one, offers fresh seafood and fine cuisine plus an extensive collection of local and imported wines. Dining and socials by the pool can be enjoyed at the Barefoot’s Bar and Grille at the resort center that luxuriates amid the ambiance provided by Gulf of Mexico views. The club’s swimming pool is complemented by the resort’s private beach where members have access to cabanas and umbrellas. Physical well-being can be pursued in a Fitness Center with highly up to date exercise equipment and expert trainers who also conduct workout sessions at the club’s Mind & Motion Studio. There are twenty tennis courts in the club’s Tennis Gardens, all of which have Har-Tru surfaces and supplemented with complete player facilities. These include a clubhouse, activity room and lockers, and a pro shop. Tennis instructors with USTPA credentials are available for training lessons. Golfers are equally pampered at the Longboat Key club which provides a total of 45 holes masterfully developed within the tropical environment of the barrier island. A very challenging play is in store at the club’s Island-side course measuring 6,792 yards. This layout borders the Gulf of Mexico, which boosts its reputation as one of the most spectacular courses in Florida as well as incorporates water hazards in all 18 holes. More golf can be had at the Harborside, a unique 27-hole layout originally crafted by William Byrd and renovated in 2005 under Ron Garl, another famed course designer. This $2-million renovation further upgraded the layout’s Blue course which has been renamed as Blue Heron and plays at 3,386 yards. The two other options in the layout are the 3,323-yard Red course and the 3,426 yard white course. Membership in the club has three categories: Full, Tennis, and Social. Golf and tennis privileges, as well as access to fitness, social, and dining facilities are accorded to those with full memberships. The tennis membership package has privileges not only in the Tennis Gardens but also to social, dining, and fitness amenities; golf is added under certain schedules and set rates. The social membership provides unlimited access to the club’s dining, beach and poolside amenities, and spa and fitness facilities; golf and tennis access can be had under a set schedule and rates. Longboat Key residences, being at the southern end of the barrier island, enjoy closer proximity to Sarasota City than properties at the northern section of the eleven-mile long island. Real estate purchase opportunities revolve around choices from among modest to luxurious condo units and expansive waterfront single family homes as well as maintenance-free villas. A condo unit with a cozy, 1,400 square-foot floor area can have a tag price around the $400s. This asking price can go to the low $500s in a condo home with 1,600 square feet of floor space. For the luxury condominiums, the price level can rise to $2.5 million for a unit with a 3,100 square foot floor plan. For single family homes, negotiations can start at around the $2.4 Million level for a residence with 5,000 square feet of floor area. The property in a truly grand deal can involve a sprawling home with some 12,000 square feet of floor area and a posted price of $17.5 million. These properties offer not only the luxurious tropical lifestyle found at the Longboat Key Club and Resort, they represent some of the best investment opportunities. What makes them also enticing is their proximity to the Sarasota city center which too boasts a myriad of arts and culture venues that help keep the real estate in this community in great demand. Below the current real estate listings available in, and around the Longboat Key Club.